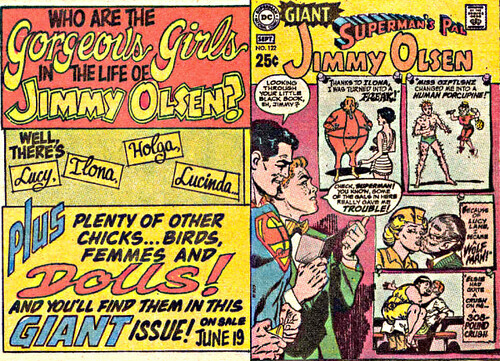 Giant-Size Geek: Who Are the Gorgeous Girls in the Life of Jimmy Olsen? 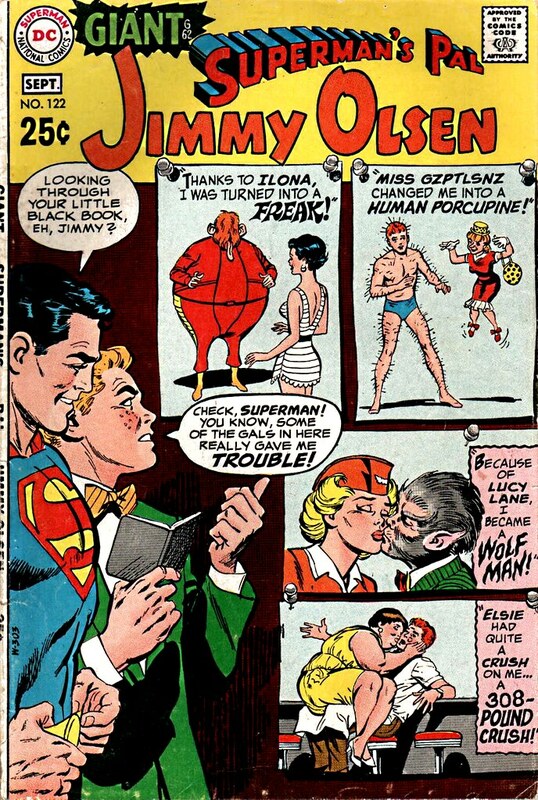 Who Are the Gorgeous Girls in the Life of Jimmy Olsen? Lucy, Ilona, Holga, and Lucinda! Plus plenty of other chicks...birds, femmes and dolls in Jimmy Olsen #122 on sale June 19th. Sheesh, you would have thought Austin Powers wrote that copy! Of course, with an promo like that, I had to buy this 80 page DC Giant. The cover looks like it was drawn by Neal Adams--at least the figures of Superman and Jimmy Olsen on the left. Jimmy didn't have much luck with girls, but he did have a black book. My expectation upon reaching some form of manhood assumed that I would also have a black book full of chicks and birds! Never happened. Nuff said.